Meeting Point is a multimedia installation that investigates sensory and relationship connections between nature and the mechanical. 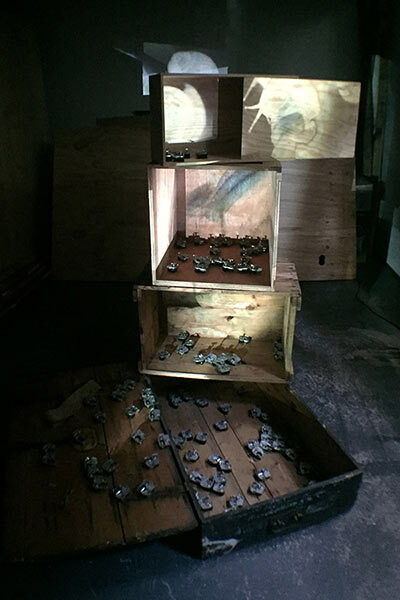 The mechanical wind up carillons move on resonating timber, while mimicking the slow movement of the snails, filmed and projected onto a series of wooden boxes. Both presences, mechanical and natural, animate and share this theatrical musical space creating a sort of rhythmic walk made of ‘robotic’ touches and poetic encounters. 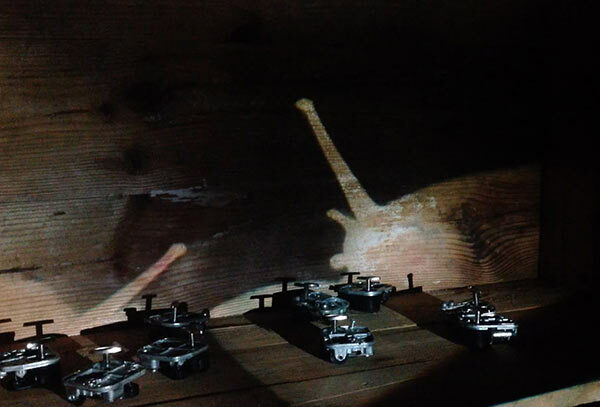 While the viewer is drawn into the memory of these old tunes they are also captured by the movement of the snails and by the animation of the mechanical objects. Meeting Point invites one to reflect on the co-existence of nature and mechanical mass-produced objects. 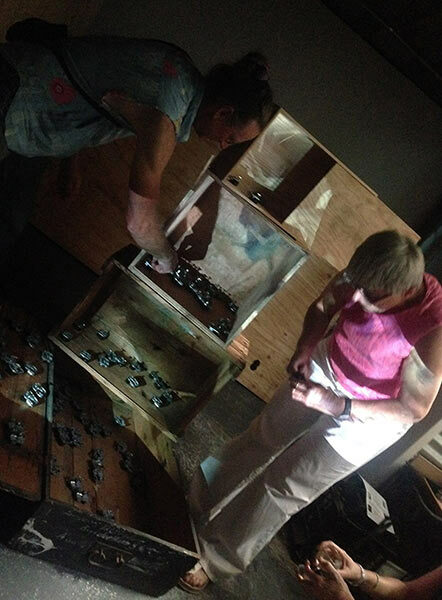 The visitors interact with the work and with concepts of time and space and are invited to wind up the carillons and relocate them each time the mechanism stops playing.